Paranormal Reads can be found at http://paranormalreadsreviews.blogspot.com/. Usually Paranormal Reads gives readers something they want. Their authors provide readers with a special blend of exhilaration, fantasy, and tidbits of horror which keeps fans coming back for more. Today they gave us something else by way of a photograph posting. 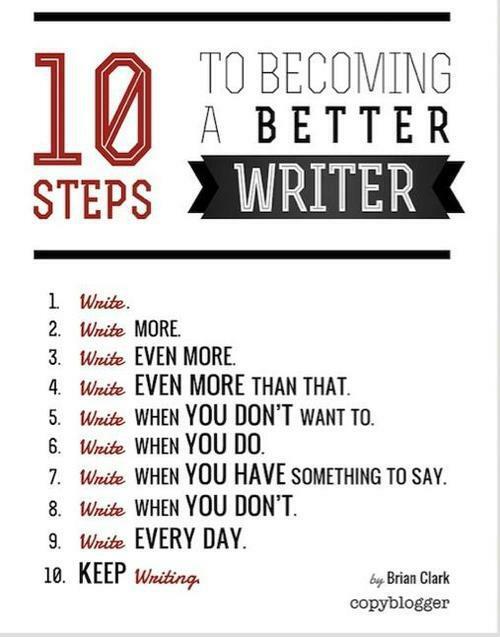 It is the best writing advice ever. Nothing I can write today will bring this message home with more clarity. So here is a simple consider graphic which says it all. This posting was provided by copy blogger Brian Clark, Paranormal Reads, and then by Diana Hurwitz of Hurwitz Literary LLC (HL). Hurwitz is the author of Mythikas Island Book One which can also be found online. Thank you, Ms. Hurwitz and Paranormal Reads for sharing these words of wisdom. ← What does writing mean to you?